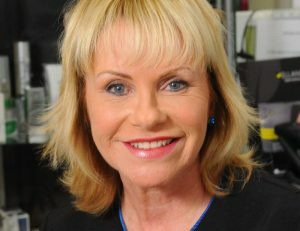 The Laser Centre was established in 1997, headed up by Consultant Plastic Surgeon and Medical Laser Expert Donald Mc Neill, alongside Julie Naidu (formerly Le Brocq) RGN LNP. In 2004, Julie moved from Bon Air and took The Laser Centre forward, adding the latest machines and treatments as time has gone by. The Laser Centre, being well established, quickly became Jersey’s Premier Laser and Non Surgical treatment clinic. Over the years,new treatments have continued to evolve which can stave off the need for surgical intervention as the Non-Surgical market has soared in popularity and is still a growing market. 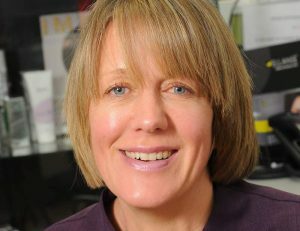 Julie and her team at The Laser Centre are constantly updating their knowledge, equipment and expertise in all treatments listed on the website, including the unique introduction of The Laser Centre’s own Skin Care Range, “TLC”. We are proud to offer treatments we know are of medical strength and deliver what they promise. Our medical skin care contains twice the percentage of ingredients of those bought over the counter on the high street, and the bonus is they are still high street prices, so quality is increased without the price increase. Our laser machines are current and deliver results, and our dermal fillers are all market leaders, tried, tested and trusted. Our latest addition to our filler range is Ellanse, a longer lasting filler for most parts of the face. “Plasma Pen”, which we introduced in 2018, is a stand alone treatment for loose skin tightening, offered by only a few clinics at the moment, so again, we are at the forefront of current successful treatments. This was just a brief resume of what we have on offer, so please browse our website and contact us for further information and to make an appointment. We are offering cutting edge treatments and have a local prescribing doctor, so, being situated in a state of the art Medical Centre, Island Medical Centre in Gloucester Street, convenience for access and parking all helps. Our treatments are tailor made to suit each of our clients individual wishes. Julie was born, and trained in Jersey. She built her experience in cosmetic procedures in Australia and then as Operating Theatre Manager at Bon Air until 2004. Today, with years of experience herself, Julie constantly updates her knowledge and introduces new dynamic treatments to The Laser Centre. She is a frequent participant at IMCAS Paris (International Master Course on Ageing Skin) and is a member of the BACN (British Association of Cosmetic Nurses). Julie is married to Dr. Govind Naidu, Orthopaedic and Trauma Surgeon at the General Hospital, and The Laser Centre’s prescribing physician. Kathrin was born and trained in Germany, qualifying in 1994. She also has plastic surgery nursing experience from Bon Air, and over 8 years experience nursing in Day Surgery at the Jersey General Hospital. Kathrin introduced laser treatment for fungal nail infection to the laser centre, and also has a special interest in skin improvement , Melasma treatments being one of those specialities. Kathrin joined The Laser Centre in 2017, and has adapted quickly and gained popularity amongst current clients and has built a very large new clientele.